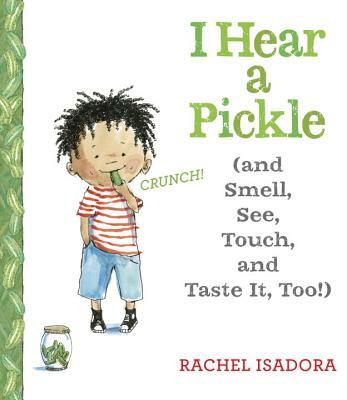 Caldecott Honor winner Rachel Isadora’s sweet and simple introduction to the five senses is perfect for the youngest children, who will recognize themselves in charming vignettes portraying a wide range of childhood activities. Hearing, smelling, seeing, touching, tasting--our five senses allow us to experience the world in so many ways! With our ears we hear the birds sing; with our nose we smell the stinky cheese; with our eyes we see the moon and stars (and sometimes glasses help us see even better! ); with our skin we feel the rain (and learn not to touch the hot stove! ); and with our tongue we can taste our favorite foods. Isadora’s lively art reveals the power and delight of each sense. Rachel Isadora (www.rachelisadora.com) received a Caldecott Honor for Ben’s Trumpet, and has written and illustrated numerous other books for children, including Bea in The Nutcracker, Bea at Ballet, Jake at Gymnastics, Say Hello!, Peekaboo Morning, the Lili at Ballet series, and several classic tales set in Africa (Old Mikamba Had a Farm, The Night Before Christmas, Rapunzel, and The Princess and the Pea). She lives in New York City.